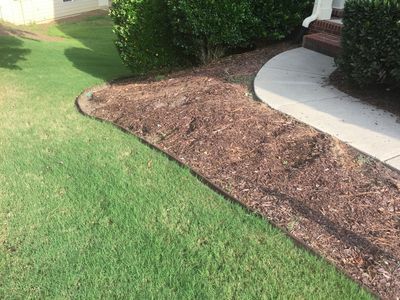 I thought buying the edging around the bed would help but it still doesn't really help. I realize its on a hill and to some extent it may always wash a little, but there has to be a way to minimize the effect so it doesn't keep killing my grass. What is the water source? 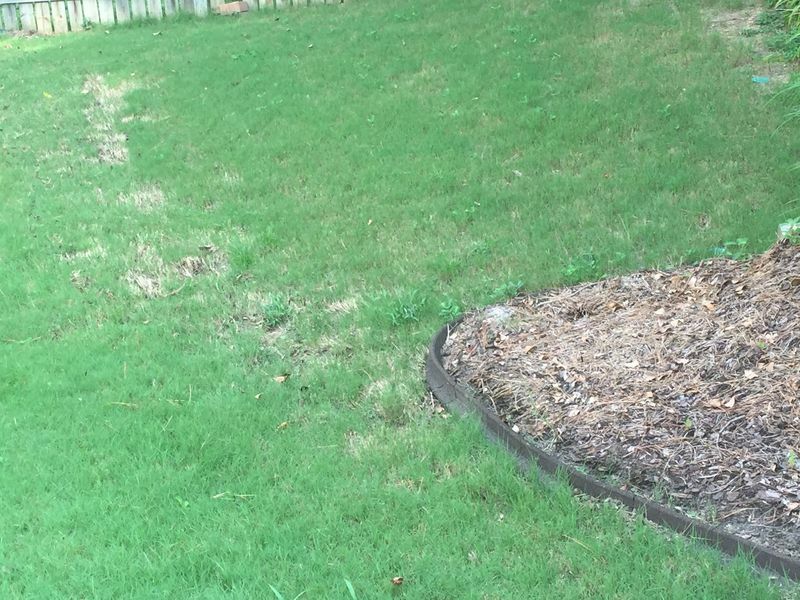 It looks like it is coming from a drain pipe behind a shrub? I would recommend relocating that to dump to a different location. 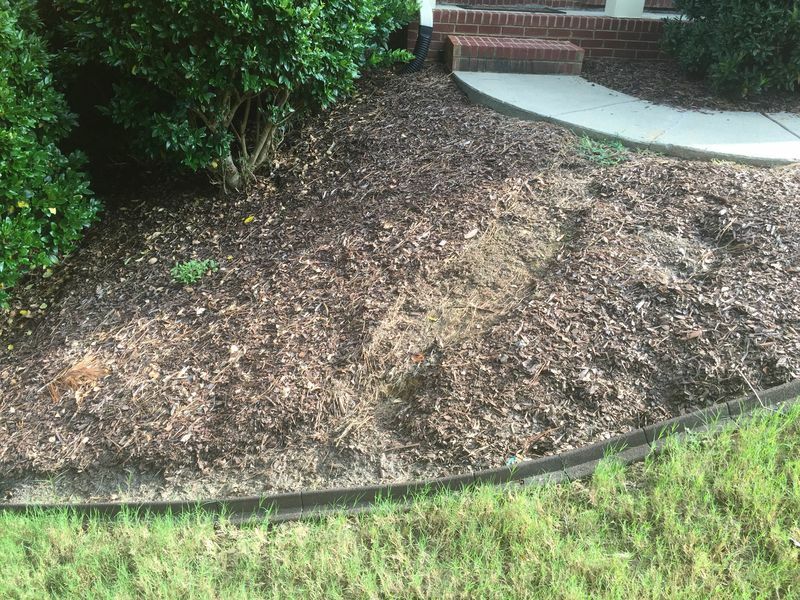 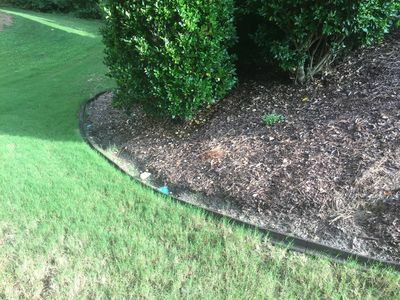 No matter what type of edging you install on the bed with the mulch, a massive amount of water from that down pipe will cause some overflow and mess. 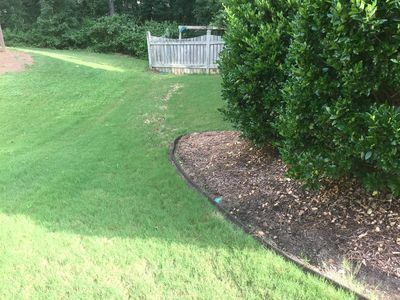 Maybe you can incorporate a stone trail where the water flows, if you can't relocate the down pipe. Ideally, I'd want to see the drain pipe go under the side walk, and out by the grass, or if its by a garage, down the driveway.